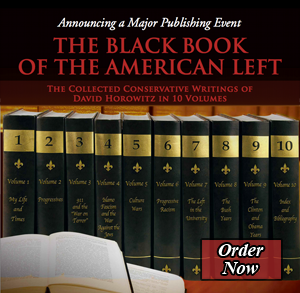 David Horowitz’s unusual new memoir David Horowitz has done what few could do: He has written a memoir of a child of his who died (age 44); and he has brought it off beautifully. A Cracking of the Heart makes for raw reading at times, but it also makes for thought-provoking and uplifting reading. It is a very unusual book, written by an unusual man — about an unusual woman — and when I say “unusual,” I mean something positive, no doubt. Horowitz will need no introduction to readers of National Review Online. A leader of the New Left, he became a leader of the fighting Reaganite Right. He is a thinker and a doer, an intellectual and an activist. His mind ranges widely, and so do his books. He has written about politics and policy, of course. But he has also written about matters literary, cultural, and spiritual. His 2005 book, The End of Time, is a meditation on mortality. A Cracking of the Heart is a meditation too, plus other things. Sarah Rose Horowitz — the second of David’s four children — died in March 2008. Several years before, her beloved aunt Barbara died: and her rabbi told her, “Pay attention to the ways in which your relationship continues.” That is part of what David is doing in this book. She spent much of her time writing, did Sarah Horowitz, producing poems, stories, articles, notes of various kinds. But she published very little. She is certainly published now, as her father stocks this memoir with the writings she left behind. Indeed, she is a co-author of this book, often its main voice. We sometimes speak of “filial piety,” and “acts of filial piety” — this memoir is an act of fatherly piety, or parental piety. The father wishes to honor his daughter, and he does so in a way that benefits others (i.e., the readers of this book). He decided to look deep into her life, and interviewed friends of hers, and other family members. He wishes he had known her better when she was alive (who would not have such a wish? ); he unquestionably knows her now. Sarah was dealt a rotten biological hand. She was born with an insidious thing called Turner Syndrome, which brings with it a host of afflictions. During her life, Sarah suffered from heart problems, hip problems, hearing problems, vision problems — the works. But she was stubbornly opposed to complaint, and equally opposed to dependency. She refused to apply for the Social Security benefits available to the disabled. In fact, she did not view herself as disabled. And yet, Horowitz tells us, her “determination to be independent didn’t seem to affect her sympathies for others who lacked her grit.” Far from it. “I never knew a kinder person with a bigger heart.” As we learn, her life was lived in perpetual kindness to others. She gave money to the homeless, when she had very, very little money to give. She went to El Salvador, to help build homes for the poor. She went to Uganda, to help yet more people. And remember that she did all this with serious physical challenges. She also worked with autistic children, including her own niece. She wrote an account of this experience, which her father includes in this book. I particularly warm to two facts: Sarah was against capital punishment, and would stand vigil outside San Quentin. (She lived in San Francisco.) But she did not imagine that the condemned were innocent, as many of her fellow protesters did: She simply thought that it was wrong for the state to take a life. And here is the second fact: She was a vegetarian, and she cooked for the homeless — but she would make them meat dishes that she learned from the Internet. She figured that the hungry should get the kind of food they wanted. And that is a magnanimity not inherent in everyone. A Cracking of the Heart is not only about Sarah, of course, but about David as well, and about Sarah and David. He is very, very critical of himself: wishes he had done more, or done differently, where Sarah is concerned. He tells many stories on himself, by which I mean, against himself. Personally, I do not believe he is always guilty — but Horowitz is in no mood for self-exoneration. He says that his daughter gave him this gift, among others: “When I see a homeless person destitute on the street, I think of Sarah, and my heart opens. If there is a criminal shut behind bars, I force myself to remember her compassion, and a sadness shades my anger.” And so on. Horowitz is known as a flamethrower and a brawler, a very tough political customer. There is that dimension, yes (thank God). But there are other dimensions: and in this book, he is exquisitely sensitive and tender. The writing is graceful, lyrical, lovely. He can write like an angel, can that ferocious bearded bomber. And he is a natural memoirist. He proved this, not least, in his 1997 autobiography, Radical Son. Toward the end of his latest memoir, he writes, “I do not really know why we all forgot about the prediction of an early death for Turner Syndrome children. Perhaps it was because Sarah always had so much life in her, right to the end.” In the eulogy he delivered at her memorial service, he said, “Her spiritual buoyancy was . . . one of her most irresistible traits. She probably never realized what a profound and uplifting impact she had on everyone who knew her.” As I see it, he is lucky to have her as a daughter, and she is lucky to have him as a father. – Jay Nordlinger is a senior editor of National Review. For those of us who didn’t have the honor and pleasure of knowing Sarah Horowitz, her father has collected her work, insights into her spiritual journey, and his thoughts on his late daughter’s life into a new book. David Horowitz’sA Cracking of the Heartrefers both to the pain of the death of a loved one and to the opening of the heart to transcendence. Sarah was born with Turner Syndrome, a genetic condition in which a female is born with one X chromosome instead of two. It is usually associated with short stature and multiple disabilities, including progressive deafness. In addition, Sarah developed arthritis in one hip as an adult, limiting her mobility. Horowitz relates that at the age of 18, Sarah moved out of her mother’s home — her parents divorced when she was a teen — to rent an apartment with friends in a neighborhood that frightened her parents (she didn’t move to a neighborhood her father thought was safe until her early 30s) and to attend San Francisco State University. Her adventures in bohemian San Francisco are a delight to read. When Sarah was in her late 20s, she became her autistic niece’s caregiver using the Lovaas method, and Horowitz includes a description Sarah wrote of her experiences of working with the child. Sarah also was active in the Turner Syndrome Society, wrote an influential article on intersexuality (aka hermaphroditism), demonstrated against the death penalty, traveled to Israel and climbed Masada twice, and traveled to El Salvador and Mumbai to work with the poor on behalf of the American Jewish World Service. She also lived for two months in Uganda with the Abayudaya, Africans who converted to Judaism during World War I.
I feel no kinship with those who can cut short a human life without remorse; or with terrorists who target the innocent; or with adults who torment small children for the sexual thrill. I suspect no decent soul does either. In one of the most poignant parts of A Cracking of the Heart, Horowitz writes that he only found Sarah’s comments on The End of Time after her death, which was after the book was published. Sarah’s comments were rooted in her spiritual life, which began to flourish in her 30s. Back to the practice: If you see someone in the fullness of their humanity, you see how they are acting out their own confusion and suffering. This does not justify hurtful or evil acts. It doesn’t even always inspire forgiveness. But if you see someone this way, you respond more in sadness than in anger. And that is simply a more excellent state of being. Even if you’ve never had this experience (and more’s the pity), respect the experience of those who have. I’m not talking about an idea either. This practice has in fact transformed all my relationships, including ours by the way. For Horowitz, his relationship with Sarah continues in his opening to transcendence and finding his way to see the unity of all humanity as his daughter did. It will be well worth your while to read his book and join him on this journey. “You can lose people through death – and you can lose them while they’re still alive,” David Horowitz says. The conservative author and activist is no stranger to losing friends over his political views. As his autobiography “Radical Son” details, the one-time leftist theoretician angrily rejected liberalism in the wake of a friend’s murder by the Black Panthers. His reaction cost him friends, allies and, for a time, even members of his own family. Now, in “A Cracking of the Heart,” Mr. Horowitz examines his sometimes strained relationship with one of his daughters, Sarah. Born in 1964 with Turner syndrome, Sarah stood less than 5 feet tall, had poor hips and a weak heart, the last of which killed her in 2008. The book recalls the struggles and triumphs of her life – and reveals Mr. Horowitz’s regrets about how he let his political stridency drive father and daughter apart. Heartened by the reaction he received to the eulogy he delivered at Sarah’s funeral, Mr. Horowitz decided to write a book that would bring her extraordinary story to life and give others a glimpse into her world. “A Cracking of the Heart” is also a tale of family struggles, a reminder that blood is more important than whatever political differences may come between us. Mr. Horowitz is a fire-breathing conservative whose confrontational style often comes across as abrasive; his daughter, meanwhile, attended a liberal synagogue and traveled to Iowa to support Barack Obama’s presidential bid. Mr. Horowitz relates in “A Cracking of the Heart” that Sarah was often reluctant to share her writings with him. After her death, Mr. Horowitz dove into those writings – including poems, an unpublished novel and writings about her personal life – in order to find out what he could about his daughter. He learned about more than just his daughter, however. In the course of researching the book, Mr. Horowitz also discovered that there were lessons he could have taken from his daughter’s views. Then he came across a journal entry from his daughter in which she wrote about being approached by a once-homeless woman who had since pulled her life together. The woman thanked Sarah for her kindness during a rough patch and said that she had never forgotten the help. He just regrets that she had to die before he was able to learn the lesson – and hopes her life can be an example to others. At some point in our lives, we come to understand the concept of death, and then it happens to our family members or friends. In the normal course of events, there is a progression: Grandparents die first, then our parents, and then we go. If we are fortunate enough to have children, then they survive our death. Some people have a different pattern: their children predecease them. I have never known a parent who lost a child and was not deeply affected by it. David Horowitz is one of those who buried a child. In 2008, his 44-year-old daughter Sarah died suddenly and alone. Sarah was born with Turner Syndrome, a disease I had never heard of until I read the book Horowitz has written about his daughter’s life. About one in 2,500 girls is born with Turner Syndrome, and it can make life miserable for those who have it. There are characteristic physical abnormalities, such as short stature, swelling, broad chest, low hairline, low-set ears, and webbed necks. Girls with Turner syndrome typically experience gonadal dysfunction (non-working ovaries), which results in amenorrhea (absence of menstrual cycle) and sterility. Concurrent health concerns are also frequently present, including congenital heart disease, hypothyroidism (reduced hormonesecretion by the thyroid), diabetes, vision problems, hearing concerns, and many autoimmune diseases. Finally, a specific pattern of cognitive deficits is often observed, with particular difficulties in visuospatial, mathematical, and memory areas. Sarah experienced a high percentage of the afflictions described above. She walked slowly and with great discomfort. Her vision and hearing were very poor. As an adult, she stood but four feet, seven inches. Horowitz’s very moving book does not feast on the infirmities, but rather on the triumphs of his daughter’s life. And they are many. Sarah Horowitz was a writer — not a famous one like her father, but a gifted writer nonetheless. Horowitz devotes many pages in A Cracking of the Heart to the actual text of his daughter’s journals, and stories, providing context for the events in his daughter’s life associated with particular writings. A collection of her stories may follow. The real story in Horowitz’s book is about his daughter’s irrepressible will to live, her experiences, and her contributions to those she felt were less fortunate than she. In an age where many compete to claim victim status, Sarah Horowitz would have none of it. She refused to see herself as needy or dependent. She valued her independence. A resident of San Francisco for most of her adult life, Sarah took six separate bus rides a day for three years to get from her home or her job to her night classes and back so as to earn a second masters degree. She traveled to other continents to offer her help — to El Salvador to build homes for poor Catholics, to Uganda to teach impoverished children, to Mumbai to work with sexually abused Hindu girls. She protested capital punishment and worked with the homeless in San Francisco. Sarah also was the glue in a family that had split apart. She was a big part of both her mother’s and fathers’ lives. Horowitz says Sarah was the sweetest of his four children, and he cannot recall her ever being mean to anyone. In the book, Horowitz painfully remembers long-past events in which he was insensitive to or upset his daughter. Some of these occurred when she was very young. Because of her physical frailty, Sarah was slow at things. There are several stories in the book about those who became impatient with her and wanted to exclude her so she would not hold everyone else up. But there were also friends and others who would not hear of it. Sarah forced those who wanted to be with her to be patient. Patience, I think, is a virtue largely lost in our culture. Sarah’s drive and courage enabled her to climb up Masada twice. It took a while, but far healthier, fitter people took the cable car to the top. Later in her life, Sarah became a much more observant Jew. She walked miles to shul and back on Shabbat. She studied the Jewish texts with a rabbi who called her his most special student, and who sadly died soon after she did. Like her father, Sarah was passionate about politics. Sarah was on the left, where David had been until his discovery that the Black Panthers had murdered a friend (and been miserable actors in lots of other ways). As David moved right, it was inevitable that he would have political disagreements with his daughter. But their debates and discussions were civil and respectful. Sarah often reviewed manuscripts of articles and books by her father with a critical eye that a political acolyte might not have. And sometimes they agreed. Sarah did not regard her father as a lost soul or lacking in character just because he was on the right. They simply did not agree on things. Horowitz shared his daughter’s first and only great political triumph. Sarah trudged through the ice and chill of December and January in Iowa two years back to work for Barack Obama’s campaign for the nomination. It was Iowa that made Obama one of the front-runners for the nomination, and his success in this first caucus state led to similar victories in all but one of the caucus states that followed, providing his small margin of victory over Hillary Clinton. Horowitz understood the significance of Iowa and congratulated his daughter on playing a part in making history. Two months later, Sarah Horowitz was gone. With A Cracking of the Heart, Horowitz tries to open his daughter’s life to those who never knew her. The book is a magnificent tribute. A Cracking of the Heart has not been reviewed by the major newspapers in America who still review many books. A similar boycott occurred with Horowitz’s earlier book about dealing with a cancer diagnosis and the approaching end of one’s life: The End of Time. In essence, because Horowitz is on the right, the papers on the left ignore him even when his books are not political. Instead, there are three more books on CIA torture and Guantanamo reviewed each week in the New York Times book review section. The editors are cheating themselves. They could learn from the generosity of spirit and decency of Sarah Horowitz. Maybe they can start by reading David Horowitz’s eulogy for his daughter. As a founder of the “New Left” in the ’60s, David Horowitz unintentionally added to the rich hues of his personality by making an about-face in worldview. Politically, Horowitz today is one of the icons of the conservative movement. His FrontPage Magazine website is a watchdog of both the trendy and vicious left. Horowitz frequently speaks on college campuses and is quite emphatic about the threats to civilization that seem to spring up these days like psychedelic mushrooms. But it is as a father that Horowitz really shines. In “A Cracking of the Heart,” his new memoir about his daughter, Sarah, Horowitz wonderfully, achingly shares the story of this courageous woman who battled difficult birth conditions to accomplish more than most do with long, gray lifetimes. This Horowitz is quite different from the one that writes with acerbic wit and hot daggers about various socialists, huggers of dictators and diabolical change agents that stalk our land. Sarah’s father is a man of great humanity, and this extraordinary book can be a catalyst for anyone enduring the ghastly effects of a loved one’s death. It is this kind of contradiction, so shared by all people, that make the book accessible to people of all faiths, or no faith. Yet far more than anything else, Sarah’s story is a crackling display of a life that, frankly, was far better lived than most. When most of us complain of minor inconveniences with embarrassing alarm, she achieved a fierce independence: working long hours, riding buses for post-graduate work, writing. Father and daughter differed in their political views, but Sarah’s intense drive to bring good to the world tempered David’s displeasure with some of her choices of candidate. In fact, the story of Sarah’s refusal to accept Social Security benefits indicates that, along with her fierce independence, she might have at least shared with her father the belief that social programs aren’t always the answer. The legion of deadbeats in America could learn some things from Sarah Horowitz. Our national obsession with Hollywood also makes us think that life somehow imitates a script. Not so with Sarah. The description in “A Cracking of the Heart” of her struggles with health and her desire (but inability) to have children is a signal that this life is very messy. I am reminded in this story of my favorite Jewish hero, Jonathan Netanyahu. The commander of an elite force sent to free hostages at Entebbe, Netanyahu had the same total commitment to the highest values that Sarah had. For a Gentile like me, it is important to recognize and embrace Jewish heroes; frankly, they point the way for the rest of us. Sarah assaulted her Entebbes on a regular basis, and in her inspiring story, the rest of us are the better for it. In a world of narcissists, it is also refreshing to see the personal thoughts, through journal entries, of a woman who I believe knew her own writing talent, but when one commits something to paper, she recognizes it can be read. The first Sumerian scribes knew that, and for Sarah, who lived alone, the possibility of her writing coming to light didn’t prevent her from setting to paper her private terrors. Again, in the baring of her soul, the rest of us realize we aren’t really alone.